Glad you enjoyed this classic. Have you seen Seven Samurai? I was trying to tell Richie he should try this despite disliking the more well known Kurosawa. You should like Sanjuro too. Have you seen Seven Samurai? Yes, another great classic. 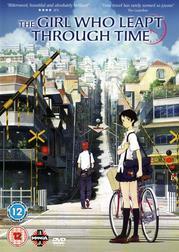 The first movie I watched in Japanese. Synopsis: When Makoto slips in the chem lab one day she falls backwards onto what looks like a walnut. Later that day she drives down a hill towards a train crossing when her bike brakes fail and she falls directly in front of the oncoming train - but then she's back on top of the hill again. She has acquired the ability to travel back in time and she's decided to have fun with it - until she learns that it can also hurt people. My Opinion: This is not a saving the world time travel movie. This is about a young girl growing up and falling in love. It is a slow and quiet movie, sometime a bit to slow for my taste but it conveys its story really well to the viewer and I really enjoyed watching it. As to the animation: Like with all manga and anime (that I know) it uses the art of showing only detail where detail is necessary. It's not a Pixar animation where you can see every single hair but that doesn't matter because it isn't necessary. There are also the huge eyes but if you compare American/European smiley drawings :-) with their Japanese counterparts ^_^ then you begin to understand that in this culture emotions are expressed more through the eyes rather than the mouth. Synopsis: When he wakes up on a fishing boat in the Mediterranean Sea, he has no idea who he his. He only knows that he had two bullets in his back and the address of a bank in Zurich in his hip. 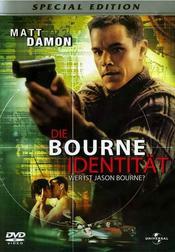 He learns in Zurich that his name is Jason Bourne but the scavenger hunt has just started und suddenly he's not only a hunter but also the hunted. 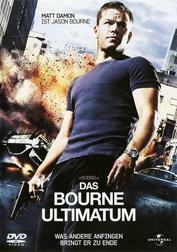 His companion Marie and he drive halfway through Europe to learn the answer to the question: Who is Jason Bourne? My Opinion: I really like this movie. The story is somewhat plausible, the hand-to-hand combats are awesome and Matt's German is actually understandable. And I love it when Franka Potente curses in German. I haven't seen this movie in a while and I noticed that you can actually follow the fights with your eyes. I never understood why more recent movies like the third part of this trilogy choreographs one hell of a fight but then chooses to not show it by using a "shake cam". Synopsis: For two years Jason and Marie have been hiding. But they have become sloppy and a Russian killer finds them in India and kills Marie when he tried to kill Bourne. 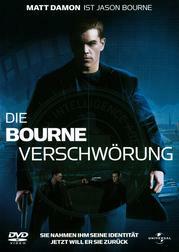 Bourne was supposed to be the fall guy for a murder and cover-up in Berlin. Now they've made him angry and he wants revenge. And CIA Deputy Director Landy wants him caught or dead because she believes him to be the murderer of her agents. My Opinion: I fully understand that Marie had to die in order set the story in motion; otherwise he would have never come back. But I was still sad, because I really liked her in that role. But overall I like this movie, too. What I especially like about these movies is that they actually shoot at the actual locations and that most of them are in Europe. Granted, they still use Hollywood geography where you can run from Berlin Zoologischer Garten to the Friedrichstraße within 5 minutes, but at least they didn't shoot somewhere and claimed it to be Berlin (or Paris, Moscow, ...). I also really liked how he confessed to the young woman whose parents he killed, though my Russian isn't good enough to judge Matt Damon's Russian. You are making me want to watch the Bourne Trilogy - again!! Synopsis: Six weeks after the events in Berlin and Moscow Jason tries again to find out who he really is and where he came from. But there are still high-ranking CIA officers who can't let that happen, because it would endanger a number of secret and illegal operations. So once again they send out killers to stop him and everyone he comes in contact with, even other CIA personnel. Luckily for him, he's not the only one who wants to find out the truth. My Opinion: This time they overdid it with the shaky cam. The fight between Desh and Bourne was nearly unfollowable, and even in the quiet scenes when Jason was talking to Marie's brother or to Nicky it appeared as if the cameraman had Parkinson's. But I still thought that it was a good conclusion to the story, especially with Bourne choosing not to kill one of his assassins when he was helpless and getting rewarded for it in the end. I also like the final scene which made the imagery becoming full circle with the first scene in Identity. If it were for me, I'd like to see another Bourne movie. 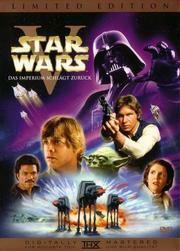 Synopsis: A long time ago, in a galaxy far, far away ... c'mon, really? A synopsis for Star Wars?!? 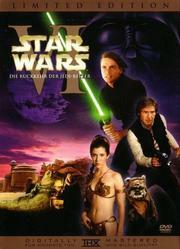 My Opinion: Ever since I got them on DVD, I only watched the original theatrical cut. Han shoots first as it should be. I would have taken the digital remastered version from 1995 where George only cleared up the picture and made some small corrections (it was available on VHS), but the 1997 version was already too much, if you ask me. And since there's either the original or the 2006 DVD edition, I stay true to the original. And I made a habit out of standing up when Luke, Han & Chewie start to walk towards Leia and snap into ten-hut when the soldiers turn. It must look ridiculous from the outside - I don't care, it's my form of paying tribute. Who would have guessed that Darth Vader is Luke's father? 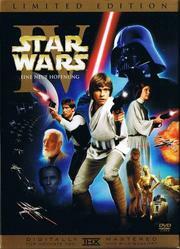 My Opinion: Oh, I love the original ending, this private celebration on Endor, the right music and the right Anakin Skywalker ghost - not this totally over-the-top "the entire galaxy celebrates" ending of the Special Edition. It's funny how it's always the little folk that brings the plans of the Big Bad crushing down, whether they are called the Ewoks or the Hobbits. And I really liked it when Luke gave his father a fire burial and when he saw the three Jedi ghosts, it was the perfect ending. Careful, Lucas might hear you and make a new trilogy! But what else could it end up being but a rubbish cash-in? Thank goodness he left them alone, eh? Like that Matrix film. Everyone assumed sequels, but no, the Wachowski's had more respect for themselves than that. Like that Matrix film. Everyone assumed sequels, but no, the Wachowski's had more respect for themselves than that. Seriously? For me that would be like spoilering that the Earth is not flat. I can't imagine a person who even remotely likes sci-fi movies who doesn't know that fact and the other people probably couldn't care less. I mean, next year this movie will have its 30th birthday. Well, there will always be young people and they may not have seen the film yet. Even a few odd old timers may still be uninitiated and actually not know the fact. We've had this discussion before at Invelos (InterVocative?) and most people agreed that it's better to use a spoiler tag, "just in case". Just IMHO.